This time around, we were faced with a wedding photography challenge here in Vancouver. 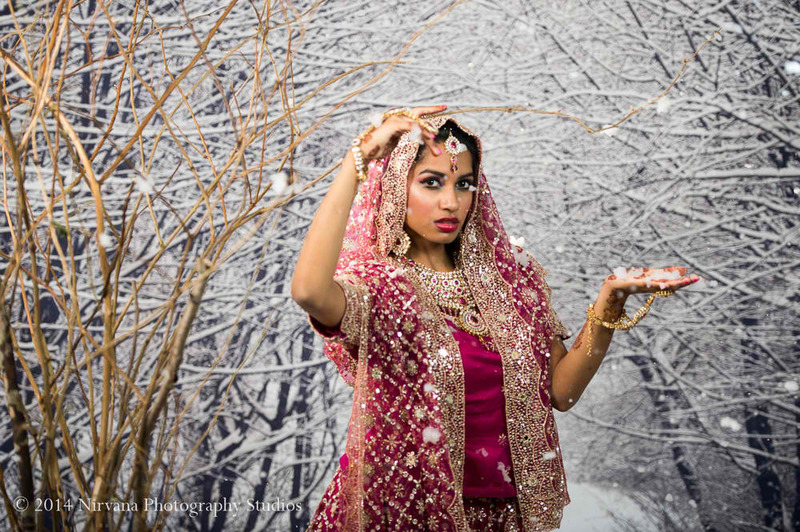 One of our beautiful bridal clients had requested a winter landscape wedding photoshoot. I know what you’re thinking, “Vancouver is perfect for this!” Now now, let me finish. She also would like to avoid getting frost bitten or worse – catching a cold. There’s nothing more horrible than trying to explain to her husband that we didn’t take good care of his darling. With a your-wish-is-our-command-attitude, we nodded our heads eager to fulfill our client’s dreams! After all, we only wish to help our clients have the perfect wedding photoshoot! So we built a set in our studio where the heater runs wild (but not too wild!) with everyone being content with the temperature. For the foreground, we brought in branches from the woods which were collected the evening before. A smoke machine helped with creating more definition. And of course, a snow machine was used to recreate our bride’s winter wonderland. Finally, a winter landscape backdrop to complete the Vancouver snowy illusion not to mention provide a feeling of depth! 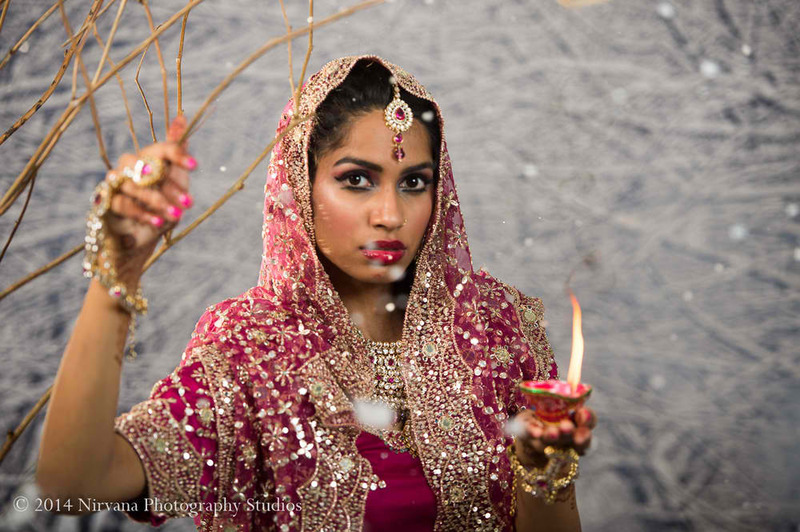 Overall, we are very happy with the turnouts of this Indian winter-themed wedding photoshoot! We, including our exotic bride, had so much fun putting all our ideas together. Indeed if there’s a will, there’s a way! And we will always go through any lengths to capture our clients’ dream wedding photos. Thank you, Vancouver, for expanding our wedding photography cultural width!